You can get your tickets from Eventbrite. If you would like to suggest a game we feature at this event, please let us know on the Facebook event page. It’s a survival game – but you don’t need to worry about food or the weather. In Factorio the player has crash landed on an alien planet, and now needs to build up the tools and machines need to get off again. 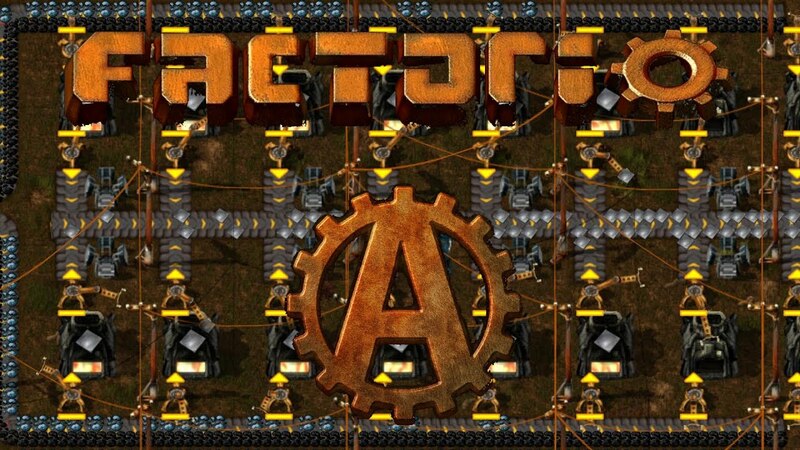 You can’t just construct a rocket by hand however, so Factorio has you build up a factory to do this. You start with mining iron, copper, coal and stone, build a coal power plant, automate the smelting of iron and copper into iron and copper plates… and you can see how this game will quickly eat your available time. (No, seriously it will). While Factorio has a multiplayer mode and this is a lot of fun to play at LANs – I thought it would be neat if anyone who enjoys Factorio could play a pre-chosen map and then compare our resulting factories next LAN. To this end I have scoured the random number generator (actually it was the first one I generated today, sometimes you get lucky) and found this map that looks like it has all we need to get a number of interesting and distinct factories up and running. We look forward to seeing the different styles of factory everyone comes up with! As you may have noticed the event in now up for October. For this ReguLAN we will be offering lunch and 2 drinks for $10. Dinner will be run either with a group of other attendees as they see fit later in the evening. This is a little belated but we of the InLAN team would like to thank everyone for coming to the event. Next event is on the 10th of October. More details as we get closer to the event. Tickets will cover entry, BBQ lunch, Curry Dinner, Gourmet Coffee and 3 cans of soft drink. Other snacks and nibbles will be avaliable for purchase. Event will be in the Chaple area. An amazing Hero brawler that has a huge map rotation and even more amazing roster of Blizzard Heroes and Villians. Come see Diablo on a pony. The June ReguLAN was awesome fun, thanks to all for attending. We’ll have more details about our next event on the 8th of August soon. With the usual 2 week to go InLAN will be running a ReguLAN for June. This event minus has proposed showcasing Warframe so if anyone is interested we’ll do some group missions and such. Please do not book a ticket unless you intend on coming. If you do and your plans change, please let us know. Our next event will be a ReguLAN or Free entry event. This will be on the 13th of June. More info to come and event signups will open closer to the event. To celebrate the long weekend we will be having pancakes for dinner and dessert. A BBQ Lunch and drinks will also be provided with you entry ticket. Extra drinks and snack can be purchased at the event. Event is at the Blackwood Hills Baptist Church Chapel.